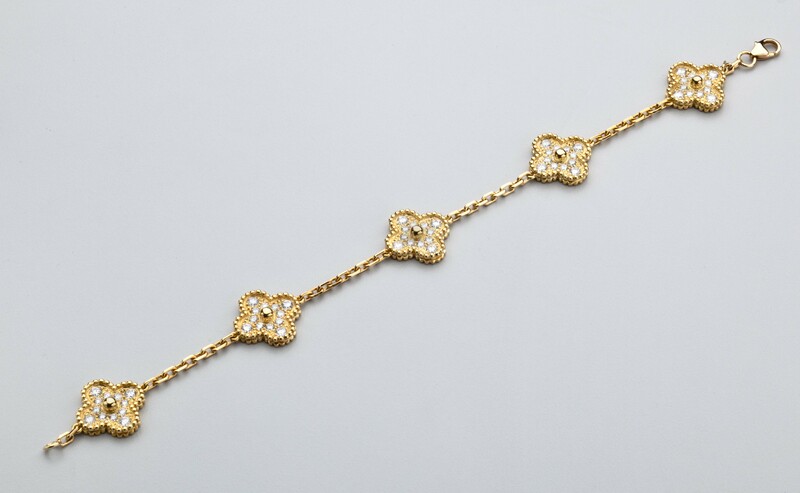 A Van Cleef & Arpels Alhambra gold and diamond bracelet. The five beaded motifs are set with 60 round diamonds, DEF color, VVS clarity. Approximately 2.4 carats, weight 12 grams. Signed with a plaque marked VCA 750 BL227722 with the French assay mark on the clasp jump ring. Certificate of authenticity dated August 12, 2008 is available with purchase.